Excellent recipe from my grandmother !! Add the 2 eggs and 3 mashed bananas to the above mixture and blend well. In a separate bowl add baking soda plus the flour, sift, and mix. Add the dry ingredients to the creamed mixture (of sugar, salt, butter and the banana mixture) mix all until just well blended then add the chopped nuts. Turn into a greased loaf pan and bake for about 1 hour at 325 degrees or until brown. You can stick a toothpick into the center and if it comes out clean it is done. Do not overbake and start checking with a toothpick as soon as it starts looking brown which will be an hr. I like to drizzle a little-powdered sugar frosting over the top while it is still warm, or just spread a little butter over the top instead. I prefer, the drizzle of frosting; however. 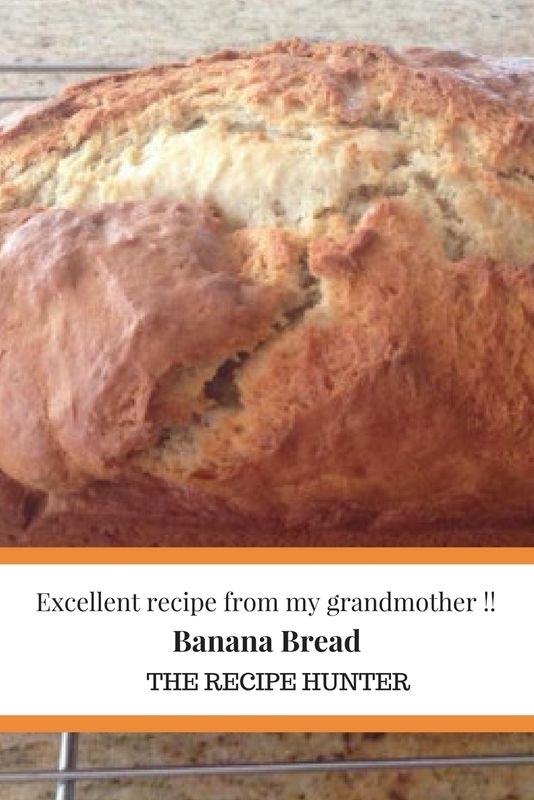 It is wonderful bread and the best banana bread I have ever eaten. Awesome, glad you found something you can try out.